Are non-governmental organizations in Nigeria poorly regulated? Are non-profit entities used as conduits for money laundering and terrorism financing? 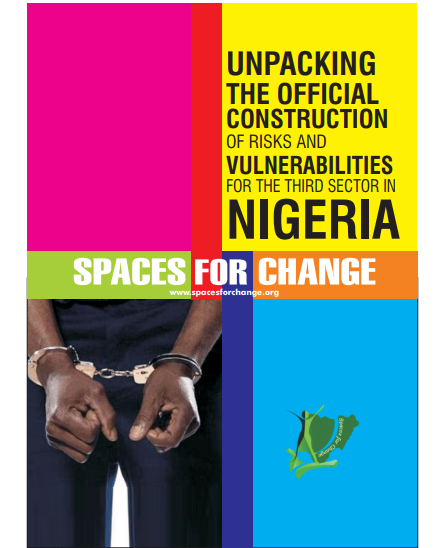 This Open Society Foundation-supported research study extensively analyses the results of the 2016 National Risk Assessment on money laundering and terrorist financing risks in Nigeria (Nigeria NRA). It interrogates the applicability of the legal regimes governing anti-money laundering (AML) and countering financing of terrorism (CFT) to the non-profit sector in Nigeria in light of the Financial Action Task Force’s (FATF’s) revised Recommendation 8. After a rigorous synthesis of the NRA methodology and evidence, the study juxtaposes the official claims and ideologies used in constructing AML and CFT ‘threats’ and ‘vulnerabilities’ in the nonprofit sector, with a systematic review of the extant regulatory environment for non-commercial operations. It concludes that whatever risks and vulnerabilities identified within the third sector and the official measures proposed to counter them, should neither provide an excuse for governments to introduce restrictive laws and measures that crush civil liberties, nor contract the spaces for civic engagement and legitimate non-profit activities.